Christmas is about family, which of course includes your furry friends! 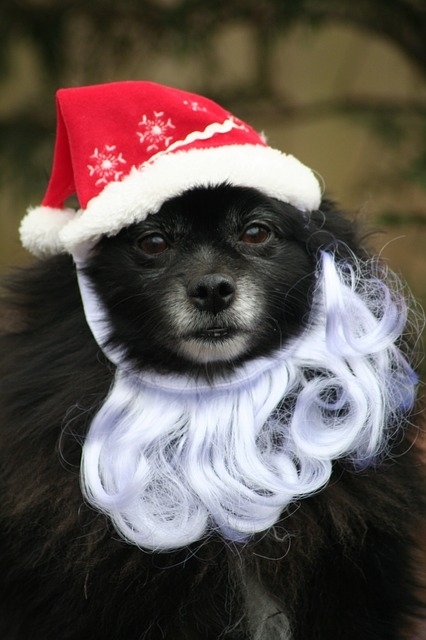 Check out these awesome stocking stuffers for your pets! Catnip is entertaining for both your cat and yourself, which is why it is the perfect gift! Try some loose leaf Catnip hidden in your cat's favourite spots, or pick up a Catnip toy for the perfect stocking stuffer! Lasers provide hours of entertainment for both kittens and adult cats. Bonus: you get to watch them go crazy! A comfortable bed becomes a safe haven for your cat, a place where they can feel at ease! A pet fountain is a great gift that will encourage your cat to drink more, without you having to continuously fill their bowl! It's like a two-in-one gift:for you and for them! Treats, Treats, & More Treats! All cats love treats, and they are a cheap way to keep your at happy! For quiet, cuddly dogs pick up a cute Teddy Bear or stuffed animal. For high energy, playful dogs grab a frisbee or a ball! For the rambunctious chewers out there, try a rope toy. Liver treats have been a favourite among dogs for their irresistible taste! What do you get the dog who has everything? 'Through A Dog's Ear' CDs are made with specific intervals and harmonies that have been clinically proven to reduce anxiety in up to 85% of dogs! A comfortable doggy bed becomes a home for your dog, a place where they can hang out and just be alone. With the cold weather outside, it's important to keep your dog comfortable and warm while on your daily walk!